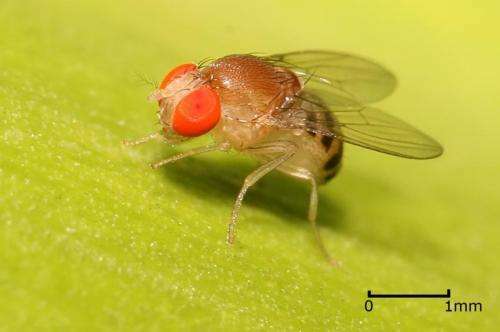 The team studied the regulation of sleep in fruit flies—the animal that also provided the first insight into the circadian clock nearly 50 years ago. Each fly has a special set of sleep-control neurons, brain cells that are also found in other animals and believed to exist in people. In previous research [Nature 2016; 536: 333-337], Professor Miesenböck's team discovered that these sleep-control neurons act like an on-off switch: if the neurons are electrically active, the fly is asleep; when they are silent, the fly is awake.